These look beautiful and sounds like a great flavor combination! These look amazing. I have been toying with making ice cream sandwiches. I will be making these for sure! Leanne, carrot cake is my absolute favorite dessert!! These ice cream sandwiches look DIVINE!!! So decadent and rich!! These are a must have for a Spring treat! Those sprinkles make these sandwiches tooooooo cute! It’s usually really hot here in Florida for Easter, so I like the idea of making a refreshing ice cream treat for dessert. This is such an amazing idea! 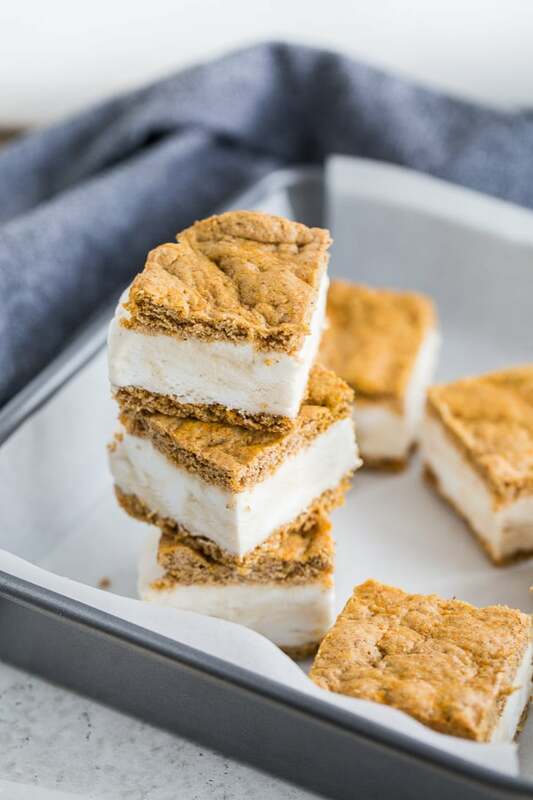 How fun to make carrot cake ice cream sandwiches! In a pinch, just sub the egg for a flaxseed “egg” and the whole thing is vegan! These are so pretty! I love the sprinkles and these ssounds dlish! Wow, I am seriously drooling over these ice cream sandwiches! 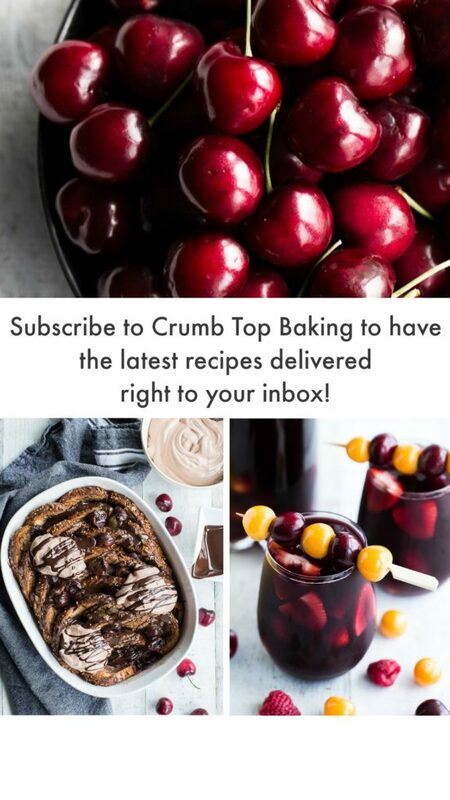 I can not wait to make some! I absolutely HAVE TO try these! I love carrot cake and I love ice cream so these are just perfect :). Have a great weekend, Leanne! What a fun treat. I can eat ice cream anytime of year. Carrot cake kicks it up a notch too! I’m a sucker for a good ice cream sandwich and this one looks amazing, Leanne! It just sings of spring!! I just used almost that same exact sprinkle in an angel food cake Leanne! Sprinkles make anything more fun! These ice cream sandwiches would fly out of the freezer here! 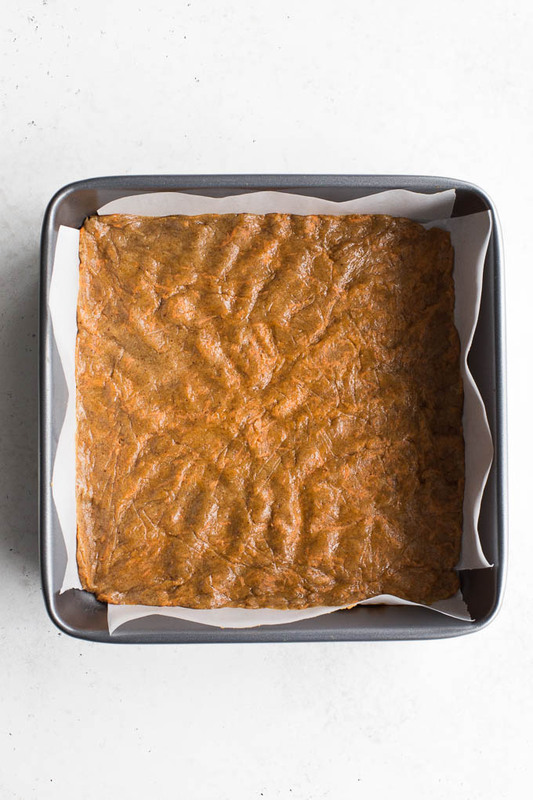 We’re all fans of carrot cake. Genius idea! What a beautiful springtime treat! 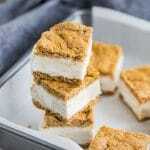 I love ice cream sandwiches and have not tried this method to make them! I can’t wait to try it! Could this be any more perfect for Easter?? I need to make these. These look SOOO good, Leanne! I also love how “clean” they are. My kids would love these! I”m into carrot cake anything, so these are definitely calling my name! Hope you had a great weekend! This is such a great way to make ice cream sandwiches. These just look so fun and perfect for Spring. OMG these are adorable. I love your choice of sprinkles too! Wow, This is such an amazing and a bit unusual treat! 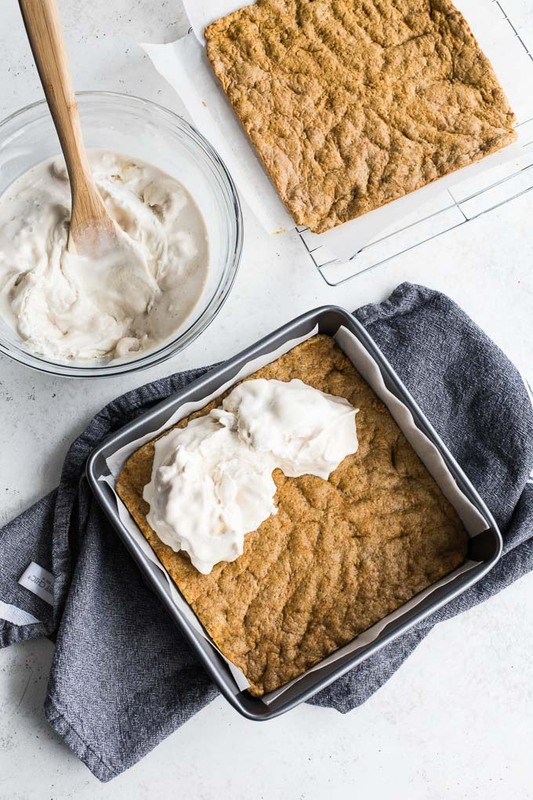 Carrot cake cookie ice cream sandwiches – that is genius! And I love the sprinkles. So cute!! Perfect Easter treat! What pretty ice cream sandwiches! I’m sure they’ll also go over well with those who don’t need to eat gluten free or dairy free! Such an amazing idea for ice cream sandwiches!! I can just imagine how well that ice cream flavor goes with the carrot cake cookie! 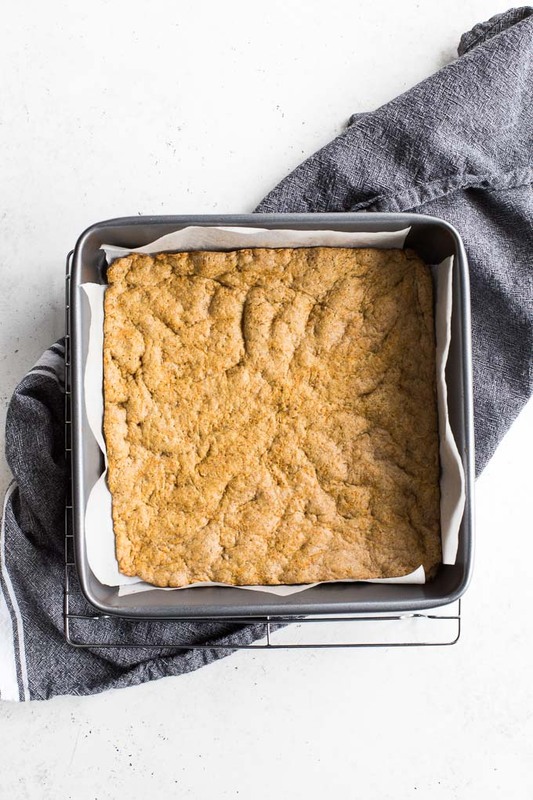 So excited about this idea – the ice cream means that I can have carrot cake all year round! These are adorable and sound delicious! I haven’t tried making ice cream sandwiches in a long time. I love your one-big-flat cookie method – it would make it so much easier to make, freeze, and cut the sandwiches. 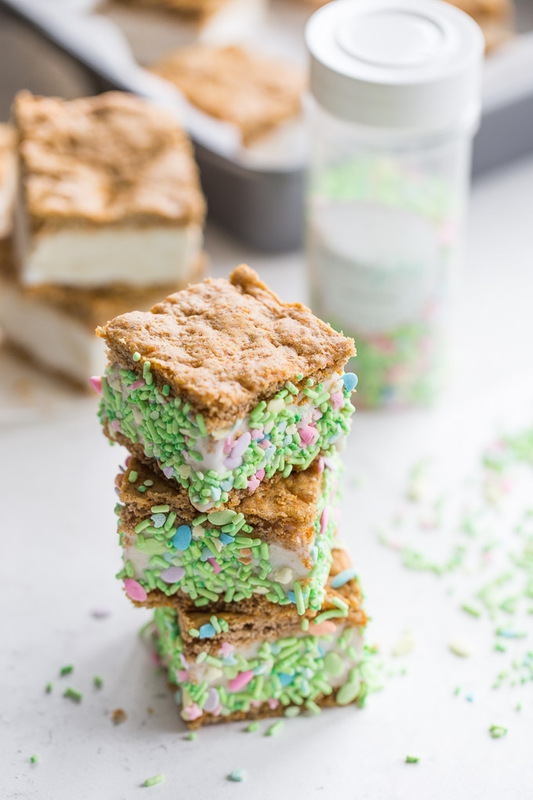 These are such a fun Easter treat, and I love that they’re a clean eating dessert yet still decadent! 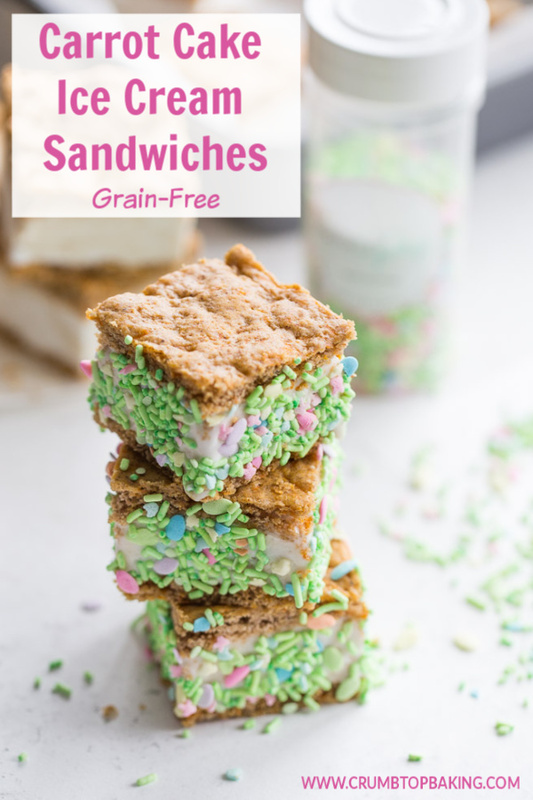 I’m a huge fan of ice cream sandwiches, and I can’t wait to try these out! These look amazing! I saw them on Pinterest the other day and pinned them to make later – YUM! Great Easter idea! My hubby loves any and everything with ice cream in it. So I’ll definitely have to try this one! These are the BEST idea ever, Leanne! They would make such a fun Easter treat, too! I just can’t handle all the cuteness and yumminess happening in this post! WoW! I love ice cream sandwiches, and these are cute! Love the idea of making my own! Leanne, these ice cream sandwiches look so delicious! 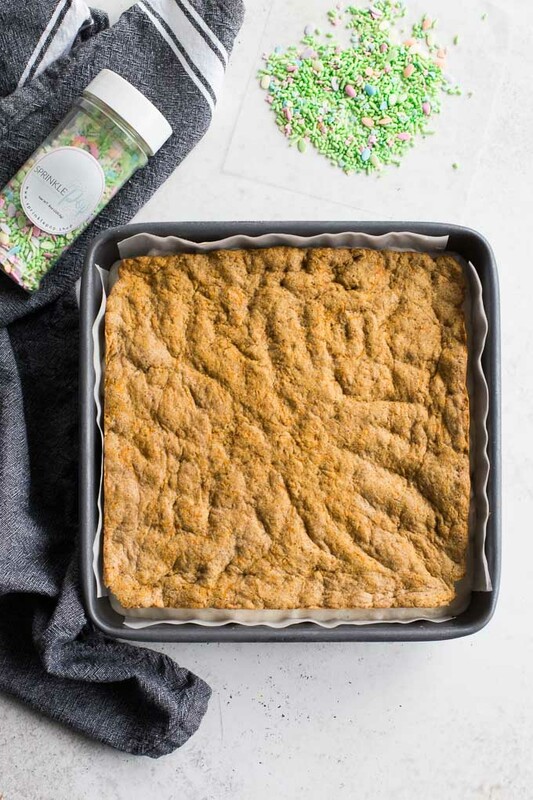 I love carrot cake and these look so easy to make! What a brilliant idea. Carrot cake and ice cream are 2 of my husband’s favorite things! I love the festive sprinkles.